Family vacations can be expensive. Disney destinations in particular often get a bad rap for busting the family vacation budget. If you pay full freight for Walt Disney World or Disneyland trips, they can totally be budget killers. But I know you don’t want to do that, right? You want the secrets to save big. As I’ve alluded to several times on the blog, I’m a bit of a closet travel hacker. I love using frequent flyer miles and points to enable my family to travel more and to travel at a much lower cost. Ever wanted to fly your family for free to Orlando? Or have your hotel near Disneyland totally paid for? Miles and points are the answer. Instead of saving pennies in your piggy bank for your next Disney vacation, start saving up points and learning how to use them. A lot of people don’t get into the world of miles and points because they think it’s either a) too time-consuming or b) too risky. It certainly can be both. There are also ways, however, to implement simple and no-risk strategies to cut your vacation costs considerably. Of course, travel hacking usually involves applying for credit cards to earn bonus miles and points, so most of these strategies are NOT for people who have problems with credit card debt or who don’t pay balances in full each month. But if you are on solid financial footing, there’s simply no reason you should leave these major travel savings on the table. Interested in hacking your next Walt Disney World or Disneyland vacation? Here are 5 easy and basic tips to get you started saving on at least one or more aspects of your Disney trips. Well, don’t just pick any hotel program. 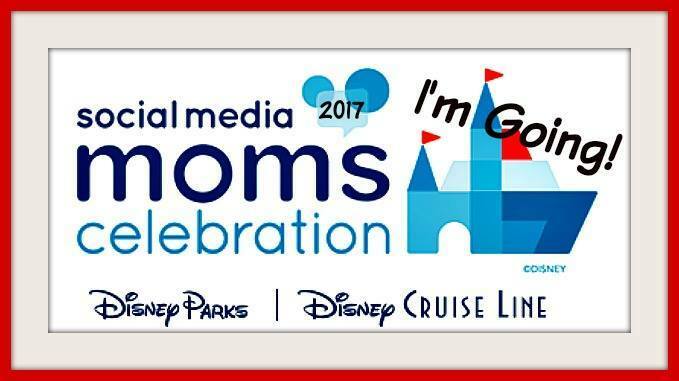 Pick a program that has participating hotels near Disney destinations that make sense for your family. The most obvious program that travelers headed to Walt Disney World pick is Starwood’s Preferred Guest program (SPG). Both the Walt Disney World Swan and Dolphin are Starwood hotels, and these hotels have the additional bonus of having a few of the benefits of on-property stays (like early Fastpass+ booking). The Dolphin is an SPG Category 4 hotel which costs 10,000 points per night. With SPG’s 5th night free, 5 nights in the Dolphin only cost 40,000 SPG points. The Category 5 Swan is a bit more, requiring 12,000-16,000 points a night. How do you easily get these SPG points? The Starwood Preferred Guest® Credit Card from American Express regularly offers 25,000 bonus points for getting the card and spending $3000 in the first 3 months (annual fee waived for first year then $95 thereafter). For a few weeks every year, American Express usually bumps the bonus up to 30,000 points. Even if you can’t hold out for that extra bonus, a husband and wife team can conceivably get one card each at the normal bonus rates and pool those points for more than enough for a 5 night vacation. Now that Starwood is a Marriott partner, there are even more ways to leverage your points if you also participate in Marriott Rewards. Marriott points transfer 3:1 to SPG points. While this isn’t always a good “value,” it could make sense if you have an overload of Marriott points and just need to top off your SPG account. Even though the travel hacking blogs cover SPG and nothing else when it comes to hacking Disney, suffice it to say that you can use a lot of different kinds of hotel points at Disney destinations. Orlando and Anaheim have dozens of chain hotels in nearly every hotel loyalty program – Hilton, Marriott, Hyatt, etc. Some of these hotel redemptions are a really bad value compared to their cash prices (for example, the Fairfield Inn across from Disneyland is shockingly a category 7 property that requires 35,000 points per night but often can be booked for just $130 a night). The bottom line: just do a little math before throwing all your hard earned points at something that can be booked on the cheap anyway. Southwest is undoubtedly the easiest airline program on which to redeem points for free travel, which is why I really recommend the airline to casual travelers. There’s no crazy award seat availability searches to navigate like on United, American, or Delta. If there is a seat on Southwest open on a flight, you can book it with your miles. Easy peasy. Want even more ways to earn Southwest points? Chase Ultimate Rewards is a transfer partner to Southwest, so any card that earns Chase UR points should be on your radar – the Chase Sapphire Preferred or the Chase Sapphire Reserve cards being the most popular at the moment. What I love about Ultimate Rewards points is the flexibility. I can easily convert them to Southwest points in seconds if I need them for a Southwest flight, but I also use them for a number of other purposes. While you can save on the hotels and flights using traditional travel hacking tools, saving on things like food, souvenirs, or park tickets is a bit more challenging. The best way to do this is by paying for these items with Disney gift cards that you acquire at a discount. Purchasing Disney gift cards at Target: If you have the Target Red Card, you get an automatic 5% savings on Disney gift card purchases at the time you purchase them at the register. No brainer. Purchasing Disney gift cards at warehouse clubs like Sam’s and Costco: Warehouse clubs like Sam’s Club and Costco often have packs of Disney gift cards available at a small discount – often about 4%. But if you have the Chase Freedom Credit Card like I do, there’s an easy way to stack savings. The Chase Freedom has rotating quarterly bonus categories that earn cash back savings of 5%. For Q4 of 2016, warehouse clubs are one of those categories. You can bet I’ll be headed to my local warehouse club to stock up before year’s end. Finally, there’s a chance to stack even more savings on these gift cards by opening a Disney Vacation Account. For every $1000 in qualified purchases you make out of this account, you earn a $20 gift card for 2% more savings. You can easily “fund” this account with Disney gift cards, which also offers an easy way to consolidate them in the process. (Fine print: account must be active for a minimum of 120 days at the time of spending in order to receive bonus and offer currently good through December 31, 2017). Many frequent Disney visitors get one of the Disney credit cards from Chase (the Disney Premier Visa Card or the Disney Visa Card), thinking it will save them big on a Disney vacation. For folks not in the travel hacking world, one of these seems like an obvious travel credit card to get. I’ve written up a complete review of these two Disney credit cards to assess whether they are “worth it,” but here’s the bottom line. The cards are great to have and use for perks and discounts but they aren’t a great value for earning rewards or even for the usual signup bonuses. If you want to earn money for a Disney vacation, you get more flexibility from a cash back card. You can get one of these cards with my blessing, but only use it for the perks and don’t put regular non-Disney spending on it. Don’t have time for keeping track of gift cards or new credit cards? That’s ok. Travel hacking really isn’t for everyone and even I tire of some of the smallest tasks it can require on occasion. At the very least, you should still be getting your park tickets at a discount. I have a partnership with the largest seller of Disneyland vacations, Get Away Today, where you can buy any multi-day tickets or Disneyland vacation packages at a discount. Use promo code TYKES10 for an extra $10 off all package stays of 2 nights or more. These are the same tickets with all of the same privileges and access that you can get at the Disney gates. There’s just no reason to pay full price so grab these savings at the very least! We are just starting to look for discounted park tickets and buying them early. Good tips! I love Southwest! Not only can I use my reward points, they have no change fees. That means I can book a flight and then if the price goes down for that same flight (or a different time on the same day if I’m flexible) I can book the cheaper one and get a credit of the difference for my next flight! Love these travel hacks! And they sound easy, which makes them great for everyone, pinned for later!